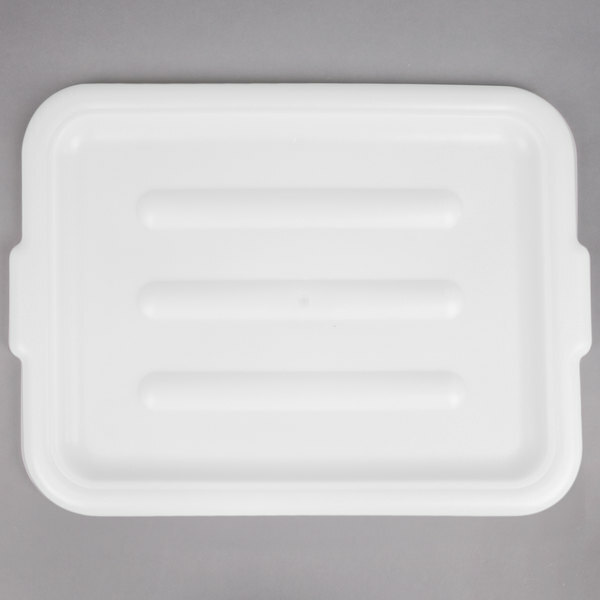 This white bus tub lid is made of heavy duty polyethylene. 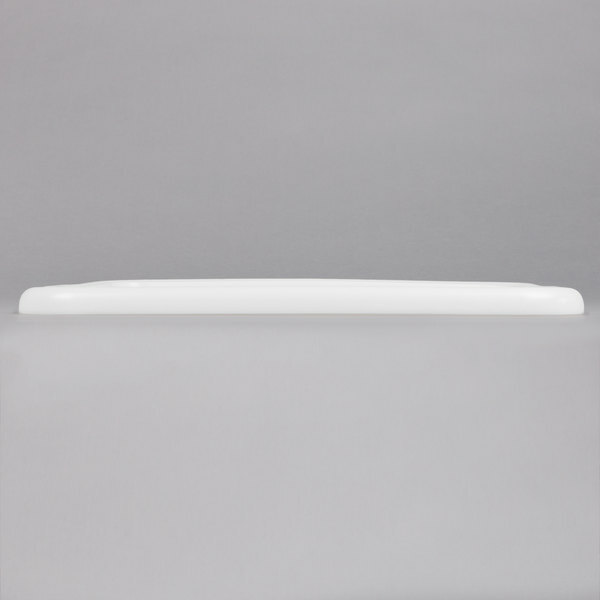 Its contoured lid design allows easy box-on-box stacking. The white lids are perfect with the plastic bins. I use these to store items in the garage and the lids are a must to stack multiple bins. Very sturdy and a great price! So i know these aren't supposed to be food safe containers, but I was a little disappointed that the seal wasn't quite as sealed as I was hoping food. Quality and everything else is good, but they don't make for a tight seal if you are expecting that. Durable hard plastic lids but it don't have a tight fit on bus tub. Really easy to clean and it does well with grease as it doesn't stain plastic. 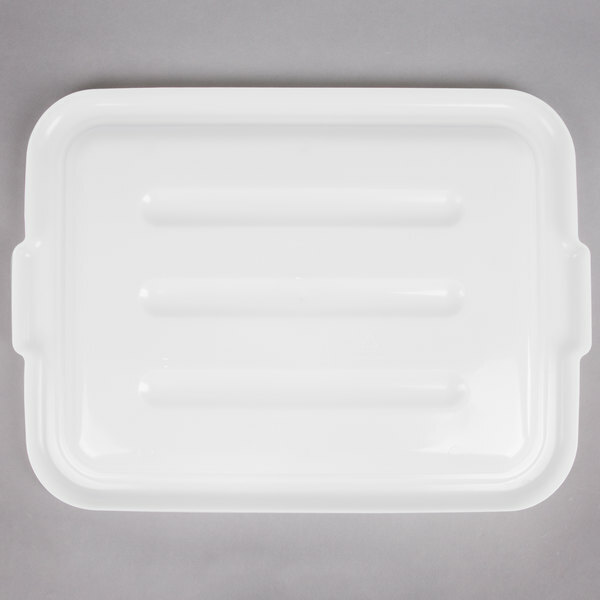 This Plastic Bus Tub Lid is very durable and is long lasting. The material is great and easy to use. is very easy to clean. and I love it . These lids work well. They fit snugly, and hold up well over time. We fill our tubs with dough, and the lids keep it from drying dough, and lets us stack the tubs. I love the lids to the bus tubs. I never thought I would use them as much as I do. In school, we had an Easter egg hunt and pre-filled the plastic eggs, put them in bus tubs, covered and stacked them until the event. They were perfect! Very handy! 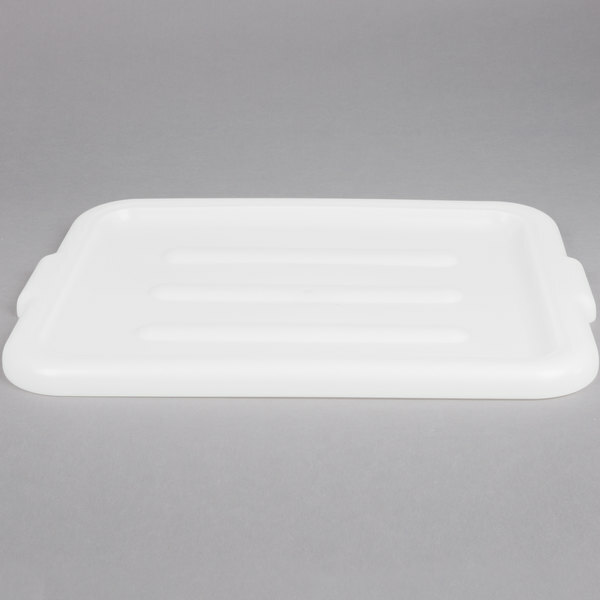 I got this white bus tub lid to go on my white bus tub that I keep one of my coolers. It is used to hold employees foods. The lid keeps everything looking tidy and clean. 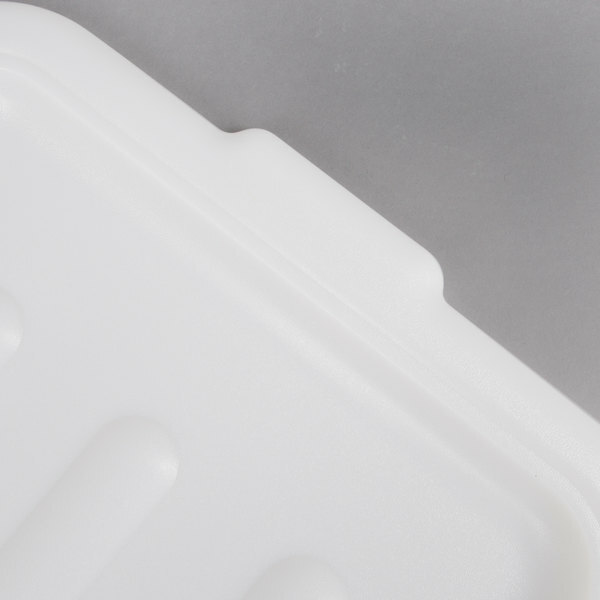 Lid is pretty standard and made of a good material. You should purchase a couple these for your bus tubs, espeically if you use the bus tubs for any food related items. 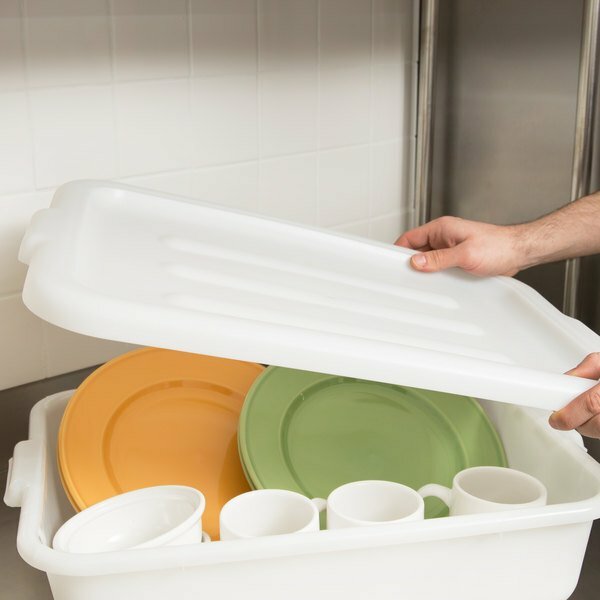 the lid will allow you to stack the items on top of each other and maximize on the space that can be used. These box tops have come in handy for us on both the 5" and 7" bus boxes. The lids allow us to stack boxes and save space when transporting and storage. Although the lids do not lock down, we have not had a problem with them coming off at odd times. Perfect to use bus tubs for storage. They fit well, and are sturdy enough to stack the bus tubs that I use as light-duty meat lugs. Easy to clean, and priced right. 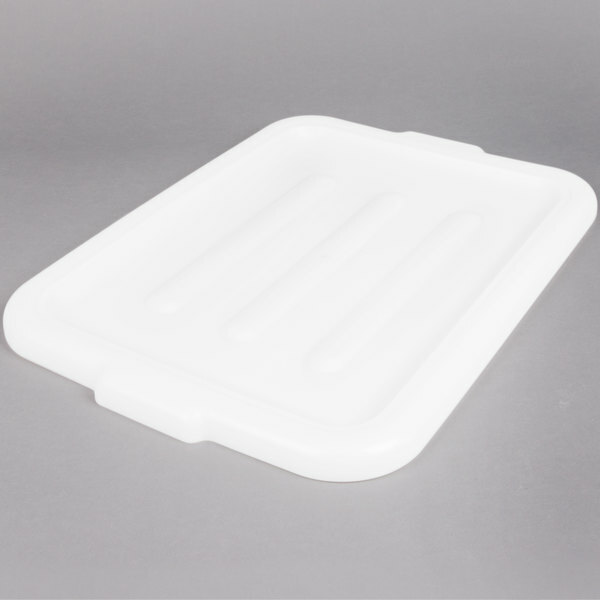 extremely durable, well made lid that fits the bus tub perfectly. 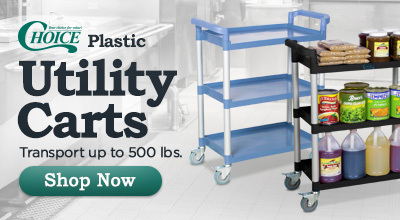 Great for transporting dishware and other messes that accompany bus tubs. A must have add on. These match the bus tubs I bought perfectly. The only problem is the lid does not latch to them very well. I would also recommend getting a darker color that doesn't show wear and stain so easily. The lids fit perfectly on the tubs. The one thing it is important to understand is they do not clip or lock into place. Its fine as long as you are expecting this.